To celebrate Mother's Day, Q Radio have teamed up with Movie House Cinemas and 20th Century Fox to give you the chance to win a very special family treat on Sunday 26th March. You and your family can see the hilarious new animated film 'The Boss Baby' – before anyone else! The film starring Alec Baldwin, Lisa Kudrow, and Steve Buscemi is not released until April 1st and we are exclusively giving Q listeners the chance to see it first. Register today to be in with the chance of winning. On arrival to the Moviehouse Cinema, you will be greeted by the Q Street Team & Q Man to enjoy some family fun in the foyer. The little ones can enjoy some play time before the film starts and even take a selfie with our Q Mascot! Also, for an extra treat for the mums on the day we are giving away a special prize of an overnight stay and dinner at the Malone Lodge Hotel. 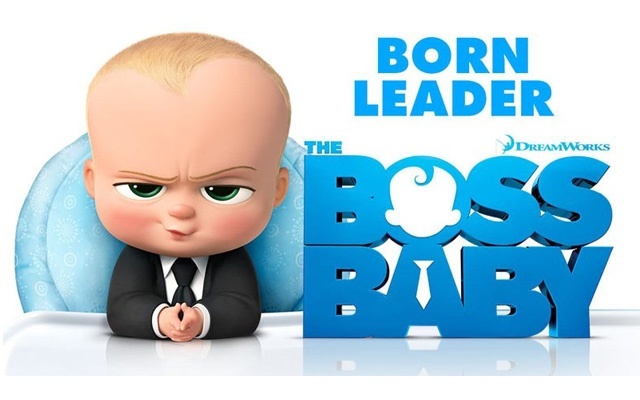 The Boss Baby is a hilariously universal story about how a new baby's arrival impacts a family, told from the point of view of a delightfully unreliable narrator, a wildly imaginative 7 year old named Tim. With a sly, heart-filled message about the importance of family, DreamWorks‘ The Boss Baby is an authentic and broadly appealing original comedy for all ages.